Nice napkins, decent quality linen but maybe overpriced for an Indian made product. Oversized 21"X21" Set of 4 linen napkins will transform your dining room into a European inspired luxurious decorator designed space. 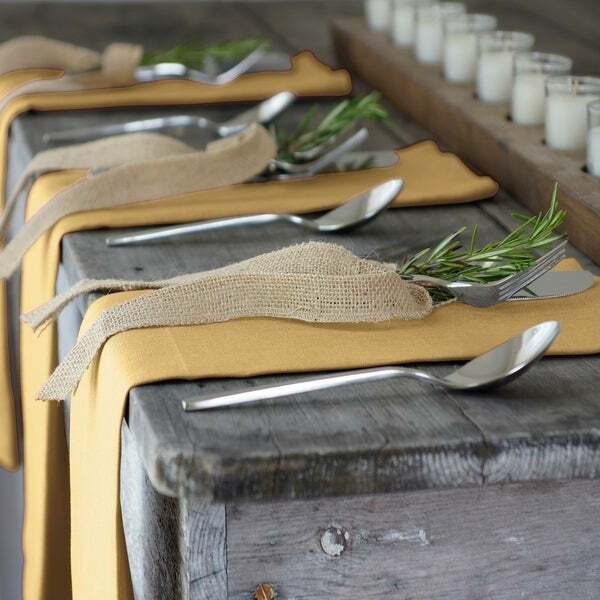 Villeroy and Boch La Classica is a linen solid napkin made from Imperial quality Belgian flax. The napkin is finished with an oversized mitered hem. Machine washable. Iron as needed. Sold in set of 4 napkins.